Harrisburg, PA – Today, Governor Tom Wolf announced that the State Board of Education has acted on the administration’s request to make computer science education available to all students in the commonwealth by endorsing Computer Science Teacher Association (CSTA) K-12 Standards. The resolution provides for the implementation of standards on computer science education in the commonwealth, and will position Pennsylvania as one of fewer than a dozen states to endorse such standards. Additionally, the CSTA standards will enable Pennsylvania to develop its Computer Science Certifications Pathways, and will provide guidance on ways students can apply a computer science course toward a math or science graduation credit under Act 86 of 2016. The Department of Education will provide guidance to schools on implementation through a forthcoming toolkit and resource guide. Pennsylvania is already a leader in STEM education. The PA STEM Coalition works with schools and students to expand STEM and Computer Science offerings. In Pennsylvania, over 1,200 educators are trained in Code.org K-12 resources (DCIU and AIU3 partnership) and 18,332 students took a Computer Science class in high school last year. 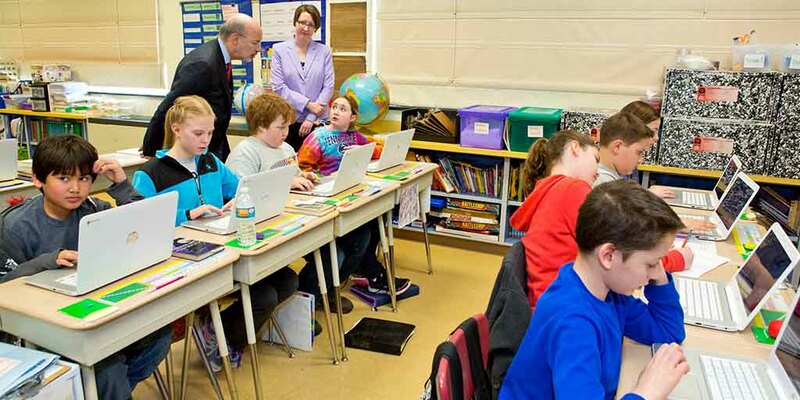 In December, the governor joined the bipartisan Governors’ Partnership for K-12 Computer Science, a multi-state initiative organized by Code.org. The national coalition is committed to increasing access and funding for computer science education in K-12 schools. In 2015, only one in 10 Pennsylvania students in grades 7 through 12 were enrolled in a computer science course, with significant gaps for girls, students of color, and low-income students. Because of legislation signed by Governor Wolf, Pennsylvania already allows computer science classes to count for graduation. The endorsement of the CSTA standards will provide additional flexibility to schools that wish to provide this option to students. Pennsylvania needs to have a STEM-ready workforce to compete in the global economy. Approximately 300,000 jobs that require STEM skills/knowledge by 2018. Over next decade, 71 percent of new jobs will require computer science skills.